I will be projecting my new video work at an event "Sakagura Road Theater". in Kochi, Japan. 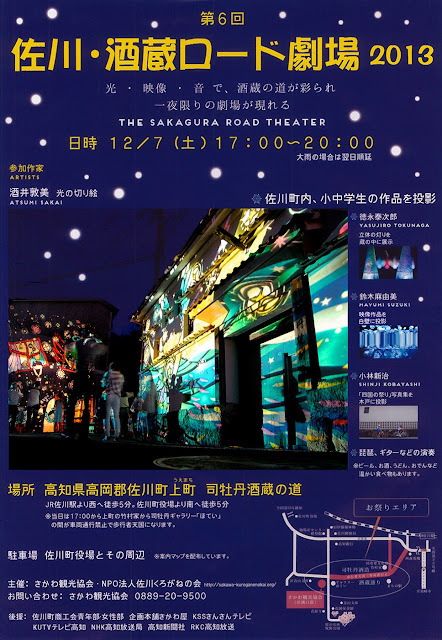 Some other wonderful artists and local kids will project their art works on the white walls of old Sakagura (Sake brewery buildings). here is the poster for the event. I am so excited. I hope to see you there if you can possibly make it to come all the way to Kochi! !